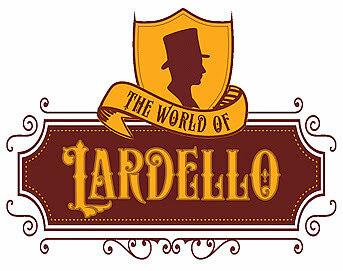 Welcome to the world of Lardello! Creators, manufacturers and distributors of fine tabletop games! Be it card, dice, board or miniature based - come on in! Lardello Ltd is a games designer based in Middlesbrough in the UK, made up of games designers Kris Costello and David Larder, specialising in wargaming and high strategy. Lardello's first product is the pulp-historical wargame Mythos of Legends.